The U.S. 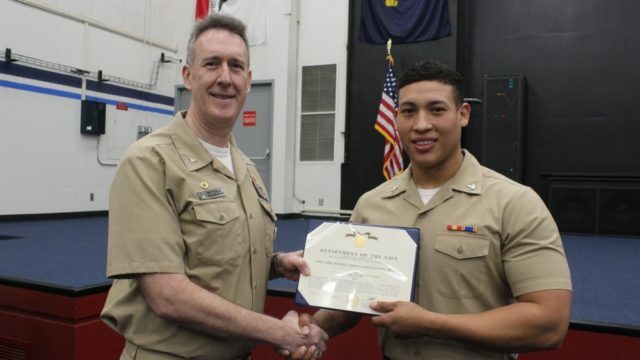 Naval Training Support Center honored a sonar technician for saving the life of a man who fell into San Diego Bay last month, the Navy announced Wednesday. While walking near the docks at the Point Loma Marine Annex on Dec. 2, Sonar Technician 3rd Class Henry Rodriguez heard cries for help from an elderly man in the water. According to Lt. Cmdr. Erik Reed, who witnessed the rescue, Rodriguez never hesitated to save the man. Capt. 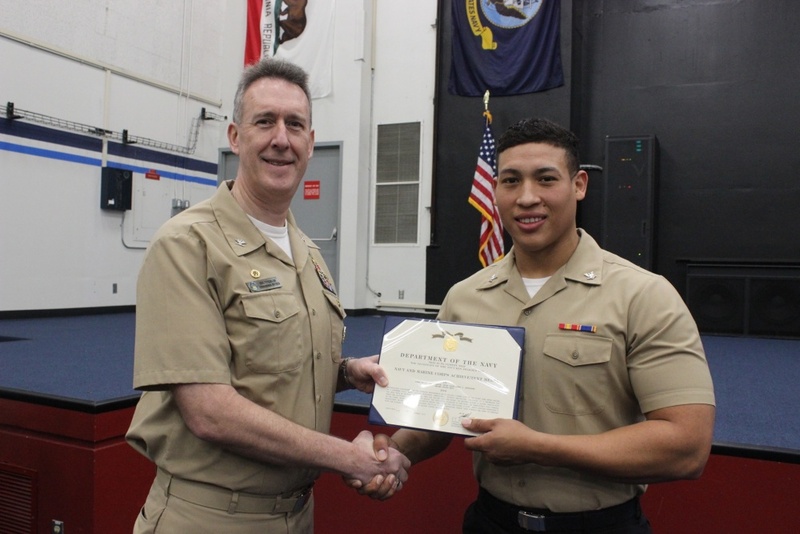 Michael Feyedelem, commanding officer of the Training Support Center, presented Rodriguez the Navy and Marine Corps Achievement Medal for his efforts, according to the Navy.